Select one of the following speeds from the drop-down menu. All versions of the Yellow Ice Shuffleboard Powder offer excellent control balanced with speed. Each can holds one pound of powder. Yellow Ice is a medium speed between White Ice Powder and Brown Ice Powder. This is shuffleboard wax powder is good for almost any player. 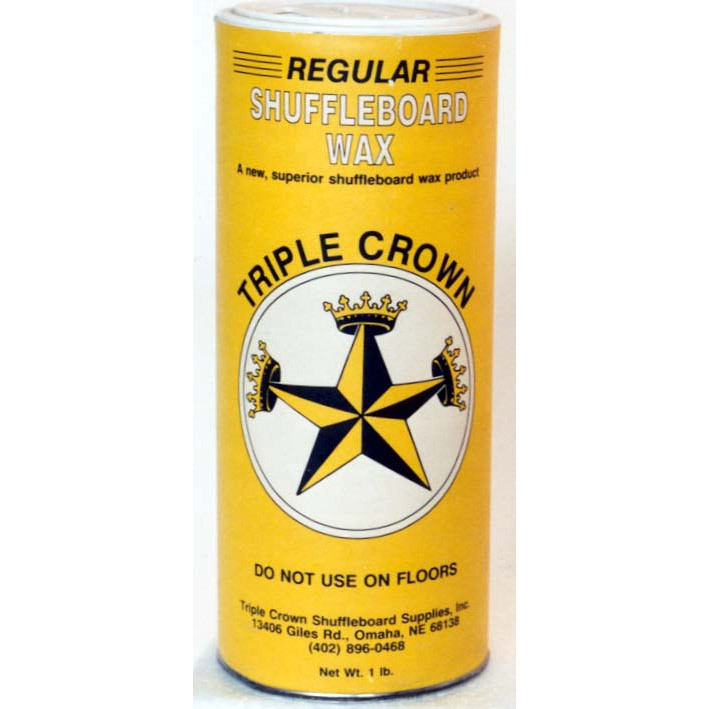 It works as a slow wax on 9'-22' shuffleboard tables, but as a fast wax on 9'-12' tables. This shuffleboard wax powder is faster than the previous. It works as a medium-fast wax on 14'-16' shuffleboard tables. This shuffleboard wax powder is faster than the previous. It works as a fast wax on 18' and longer shuffleboard tables.